Editor's note: A Russian website recently published a long, fascinating article by renown historian Gleb Eliseev. It names the eight most widespread myths about Nicholas II. We decided to relay it to you in a series of weekly articles, in order to help people understand more why the Russian church made Nicholas II a saint. This is the fifth one in our series. 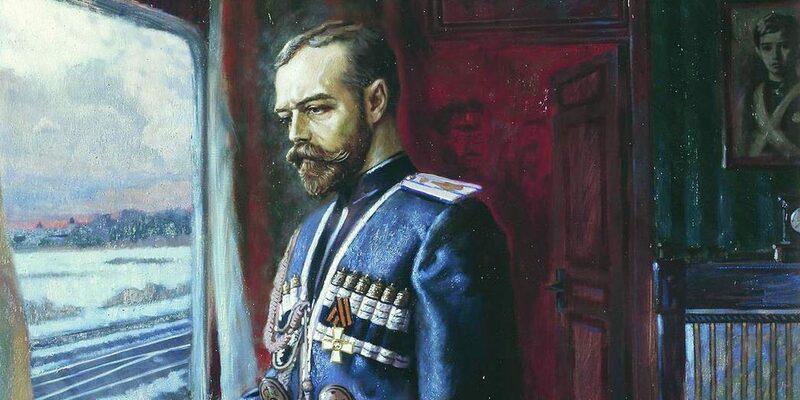 (Myth 1;Myth 2; Myth 3 , Myth 4) These articles are not meant to be exhaustive, but they aim to lift slightly the curtain that obscures and distorts the true figure of the Last Russian Tsar. The tall tales about the tsar are never complete without the stories of the ‘dirty peasant’ Rasputin, who enslaved the ‘Tsar without a backbone’, dictating into the monarch's willing ear all his personal and political desires. Did the head of the Russian Empire allow an uneducated monk to control him on questions of war and state? Right now, after much objective research has been done by revisionary historians on the Rasputin Legend, most maintain that the influence of the Siberian elder on the Emperor was inconsequential or very slight. Some even argue a rather radical point: that the understanding of Rasputin as an evil genius is concocted and erroneous (one fundamental text in such revisionary studies on Rasputin is the book The Truth about Grigory Rasputin of A. N. Bohanov). However, even those who believe in the Rasputin’s evil character, often still maintain that his influence on the Tsar was greatly exaggerated by slander and the liberal press. "(Listening to all the rumors) One may get the impression that the Empress, under the influence of Rasputin, was in charge of all appointments and resolved important state issues. In reality, this was far from the case, judging by the results, since the number of persons appointed, the candidacy of which were supported by the Empress was absolutely negligible. " The rumor that "as if Rasputin conducts official appointments through Tsarskoe Selo" is just as groundless. "He (the tsar) agreed only with those opinions that did not contradict his own." True, opinions often coincided, but it was coincidence, not subordination." "Does Rasputin have the same power over the emperor as the empress?No, and the difference is palpable, "especially when the "elder "interferes in politics.Then Nicholas II becomes silent and cautious, he avoids difficult questions; he postpones decisive answers. In any rate, he returns after a great internal struggle, during which his innate mind often prevails. " Rasputin practically did not carry out a political role. It was artificially inflated by the left to create an atmosphere of anxiety, confusion among the people. Their task was also to create an understanding among the population that Nicholas II was no longer able to cope with his duties. And they succeeded, you can say, as it turned out. Of course, he consulted with Rasputin, but he based his decisions, first of all, on his opinion. Rasputin is accused of influencing politics and the tsar. If he really had, then his death would have changed the situation, but this did not happen, and passions became even more heated and "splashed" out into the revolution. ... this is a myth, or rather, the echoes of the myth created by the opponents of the last Romanovs. Rasputin personally not only did not play any independent political role, but there is no evidence that he tried to play it. Rasputin was simply used by the forces fighting for influence and power, the extreme right and liberal opposition. They turned him into a political figure, which played a truly fatal role in the fate of the Russian monarchy. It should be noted, however, with all certainty that the views of Alexandra Feodorovna and Nicholas II on Rasputin differed significantly. The presence of Rasputin burdened the king. The fact that Rasputin had an important pawn in the political game, the king knew. In one of his reports, for example, it was explicitly stated that the campaign against Rasputin "under the real Russian conditions of political life acquires special significance and points to the desire to create an artificial anti-dynastic movement." The last two words, Nicholas II underlined, but apparently did not heed them. Why? Until the end, he did not fully grasped the danger of all the political consequences of the anti-Rasputin campaign, and who indeed could have grasped them? 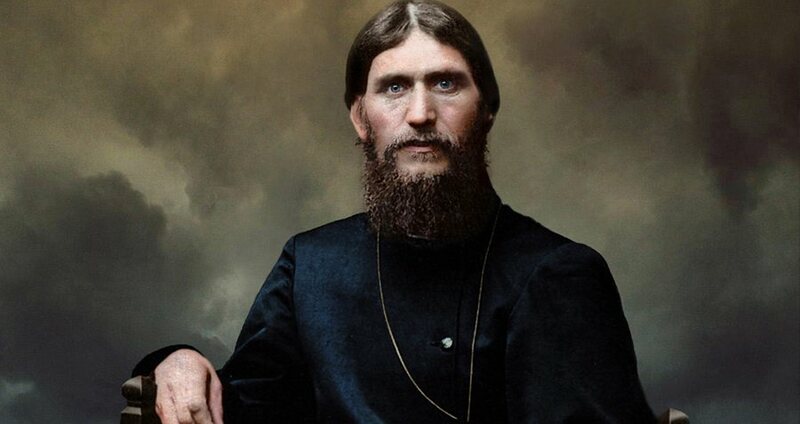 In the attacks on Rasputin, he soon saw interference in his personal life and did not want to upset his wife, who had so ardently believed in the "elder". Alas, for the supreme power, especially at the time of sharp aggravation of the entire social life, "family" affairs could not exist. Everything was then used to stoke the fire of a furious political struggle. Nikolai was not the obedient executor of Rasputin's decrees. The fact that he consulted Gregory did not mean at all that he was following all his advice. At the decision of the absolute majority of questions Nikolay did not inform Rasputin, or even Empress. In one of his letters to his wife, Nicholas firmly and even rigidly says: "Only I ask you not to interfere with our Friend. I am responsible, and therefore I want to be free in my choice. " Yet many people still blame Tsar Nicholas for not banishing Rasputin completely from the throne. Those people lack an understanding of what the Tsar struggled with: the royal family's carefully hidden secret and source of great anguish. The Tsar’s only son and heir, Alexei, had haemophilia, was constantly in pain, and often on the verge of death. Most, if not all, historians agree that Rasputin did have an unexplainable power to alleviate the symptoms of Tsarevich Alexei's illness, even in situations when doctors were helpless. And while the Tsar did not allow Rasputin to influence his executive decisions, banishing him from the sickbed of his son was a different question. Turn to yourselves and ask, before casting a stone: would you be willing to sacrifice the life of your child in order to stop public gossip and hysterical newspaper chatter?